At 18.10LT on Thursday Apr. 12 emergency agency telephone switch boards started receiving reports of a large bang or explosion that could be heard all over the southern UK. It took a couple of hours before the reason for the mysterious bang was made public. As most countries do, the RAF maintains a number of armed fighter aircraft on alert for air sovereignty and security purposes. The pilots are dismounted but are at a heightened state of readiness and can be airborne within minutes. Since 9/11 this alert status also includes the possibility of reacting to potential threats from terrorist organisations using civilian aircraft to carry out acts of terror by using the aircraft as weapons of mass destruction. The Quick Reaction Alert (QRA) pilots are managed by the RAF’s National Air Operations Centre (NAOC), a team of 12/13 members including an Air Defence Wing Commander located somewhere West of London in an underground facility. 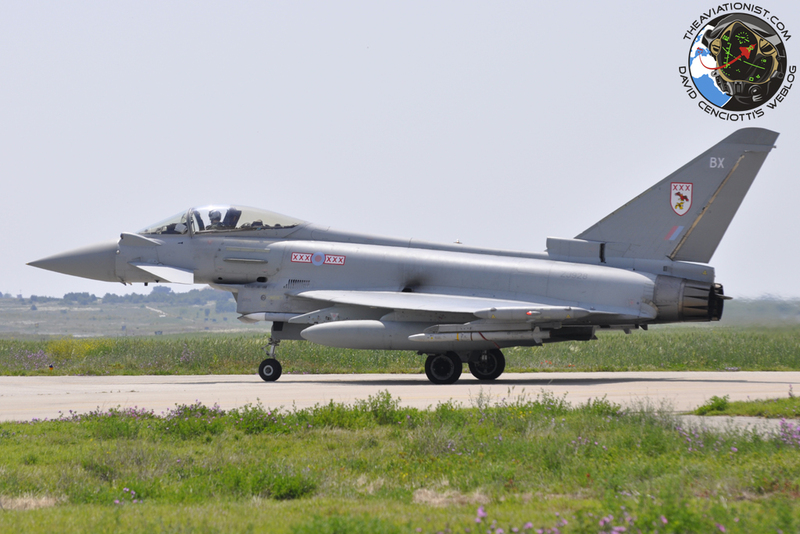 The team is charged with air policing of the UK airspace and also areas that come under the NATO umbrella, however, it does not monitor the national sky continuously, a task done by RAF’s Control and Reporting Centres (CRCs). CRCs constantly monitor the UK airspace and work in conjunction with the civilian Air Traffic Control based at Swanwick (Hampshire) and Prestwick (Scotland). What happens usually when a civilian aircraft starts to raise suspicion that it is acting in a manner that is unusual? It will first be contacted on the international emergency frequency: 121.5 MHz. Pilots are supposed to monitor this frequency at all times, but sometimes pilots use their second radio to listen to weather reports and other more mundane transmissions. Therefore they miss this initial contact, prompting the initial investigations on the FPL (Flight Plan) filled by the pilot, the planned route and so on. If further attempts to contact the aircraft fail, the civilian ATC will contact the CRC who in turn contact NAOC who will probably contemplate a tactical response while the problem within the UK airspace will be possibly notified to other NATO countries. At this point the QRA pilots may be ordered into their cockpits, power on and be ready for immediate start. When engine are started, interceptors can be airborne in around 3 minutes. If the aircraft is still not responding to ATC or the airline on “company frequency” the QRA jets will be scrambled, along with a tanker aircraft. Once airborne all civilian aircraft will be vectored out of the way of the QRA jets en-route to the target. Whilst trying to contact the suspicious aircraft, the RAF jets will perform a very wide intercept (out of target pilots visual sight) and approach the target from astern (rear) with transponder switched off the mode C o so as not to alert TCAS (Traffic Collision Avoidance System). As the jets gets to within visual sight of the target the pilots will “shadow” the plane while performing visual checks to see if there is any visual reason for the aircraft not responding (maybe electrical issues). If there is nothing obvious, the first jet will approach the target on the left hand side and forward of the cockpit so that the flight crew on the target aircraft cannot fail to miss the jet. The jet will then use the international intercept procedure, including visual follow me signals. Obviously, if the target fails to co-operate then things will be taken to the next level which could mean, after some further attempts to contact the plane and to make it comply to the visual instruction, to shoot it down. There is a process where all of the above may not take place so quietly sparking an immediate reaction by the QRA cell, and that is if a pilot enters a certain squawk code into the transponder to indicate that the aircraft, has been hijacked. That’s what happened on Apr. 12, when a hapless helicopter pilot accidently entered the 7500 squawk code that said he had been hijacked, sparking an immediate reaction by the British Air Defence. 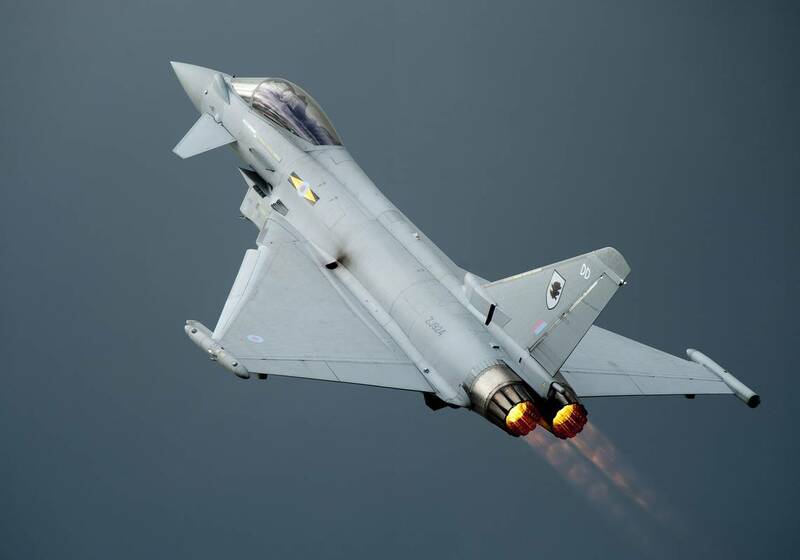 At RAF Coningsby the two Eurofighter Typhoon QRA jets were scrambled immediately, call signs 5KG41 and 5KG42 screamed into the sky in full afterburner, and cleared supersonic. Since it is very unusual for combat plane to fly supersonic at low altitudes one of the fighter pilot was heard on the radio asking to confirm the instruction. When the cleareance was confirmed the interceptors accelerated trough Mach 1.2. The sonic boom was heard by thousands of people who immediately called the police and fire services to report the unusual loud “bang”. Even the British Geological Survery was contacted to see if the UK had suffered an earthquake. By the time the Typhoons were closing in on their target, the helicopter pilot had realized his mistake and had tuned his squawk to the correct code. A bit too late: the interceptors had already caused some concern throughout UK and their supporting tanker had also been in the air to support them. Once everything checked out, the event which sent the British media into a frenzy, was all over. Aviation enthusiasts in the UK noted that the VC-10 tanker was still airborne at 21.45LT a full 3 hours after the intercept and the pair of jets had returned to base at around 21.35LT. The aircraft was also picked up using ADS-B flying circuits off the east coast of the UK over the North Sea. Did they exploit the opportunity to carry out a training mission after being involved in the scramble?